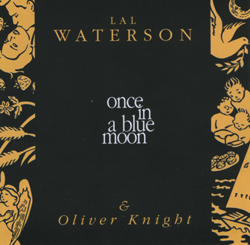 Oliver Knight is probably best known as collaborator with his mother, Lal Waterson, on their landmark albums Once in a Blue Moon (TSCD478) and A Bed of Roses (TSCD505). He has also had a long and illustrious career as a composer, musician, arranger and record producer / engineer. 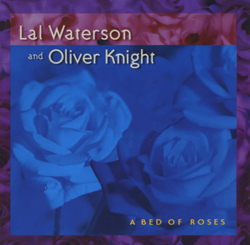 A Bed Of Roses was the second album from Lal Waterson and Oliver Knight. Another collection of luminous songs and riveting performances. 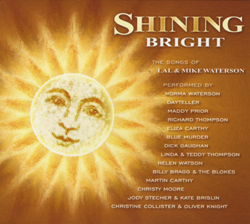 Sadly, this was to be Lal Waterson’s last recording, completed just before before her death in 1998. Mysterious Day is Oliver Knight‘s first solo project and, in truly typical fashion, it is a collaboration with others. The vocals on the album are handled by Christine Collister, Eliza Carthy, Norma Waterson, Maria Gilhooley, John Tams and Barry Coope and additional instrumentation is provided by Chris Parkinson (piano & harmonica), Jo Freya (sax), Alice Kinloch (tuba) and Andy Cutting (melodeon). A long time in gestation, the album continues in the family “tradition” of highly original English composition which, although owing much to the folk tradition, is not beholden to it. He has written all the material except for Evona, written by Lal Waterson, Once In a Blue Moon, co-written with Lal Waterson and the traditional Go From My Window, arranged with Eliza Carthy. As well as producing and engineering the album, Oliver Knight played all guitars and arranged all the music. 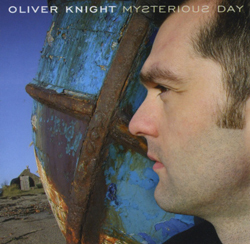 Mysterious Day shows Oliver Knight to be a genuinely original songwriter whose style could be compared with that of Nick Drake.